Nominating a woman—what a concept, America! Now it's time to nominate more women for the Rock Hall, and also induct them. "And when he walked me home that night/All the stars were shining bright/And then he kissed me..."
"Please Mister postman, look and see/Is there a letter, a letter for me..."
A naysayer/Nomination Committee member might say these acts often didn't write their own songs, or that their success was largely due to their male benefactors. And which version of the Crystals are we talking about anyway, the "He's a Rebel" version (i.e. the Blossoms repackaged as the Crystals by Spector) or the "Then He Kissed Me" version? But put all that aside; if the discussion includes the Rock Hall's qualification of "musical excellence," one need only re-listen to these classic songs to grasp the depth of accomplishment here, and understand that these '60s girl groups are all richly deserving of induction. In short? They all rock. Here are just a few reasons. Formed in Brooklyn in 1961, and signed to Phil Spector's Phillies Records. Their seven-year career of lush harmonies and smooth performances began with "There's No Other (Like My Baby)" and is marked by the bizarre decision by Spector (one of his many bizarre decisions) to produce and release a single sung by Darlene Love under the Crystals name ("He's a Rebel," a number one hit). The original Crystals rebounded with "Da Doo Ron Ron" and "Then He Kissed Me," two high watermarks of American rock and roll. A complicated history, to be sure, but what tremendous, buoyant, and unforgettable hit singles. "Da Doo Ron Ron" alone feels like enough to make a place for them in the Hall. 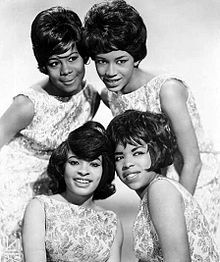 Formed in Inkster, Michigan in 1960, the Marvelettes boast Motown's first number one single, 1961's "Please Mr. Postman." The Supremes were their competition, yet Smokey Robinson was an important mentor, assisting with production and songwriting. Others involved with their musical output include Berry Gordy, Holland-Dozier-Holland, and Marvin Gaye. "Don't Mess with Bill" and "The Hunter Gets Captured by the Game" are among their other fine singles. They are the only act of the three here to actually receive previous Rock Hall nominations (in 2013 and 2015), but have yet to be inducted. Nonetheless, they've been honored by the Official Rhythm & Blues Music Hall of Fame and the Vocal Group Hall of Fame. Maybe three times nominated will be the charm. A Spector hovered over the Crystals, and the Shangri-Las were under a Shadow: George "Shadow" Morton, a genius producer and songwriter that orchestrated their widescreen teenage dramas. Most notable was the death-courting "Leader of the Pack" as well as the heartbreaking, seagull-accented "Remember (Walkin' in the Sand)." The Shangri-Las, in contrast to the more prim and proper girl groups of the era, cultivated a bad-girl image, complete with boots and leather pants. And the surging emotion on display in both "Leader" and "Remember" is perhaps the epitome of the teenage mindset — everything is magnified. The layered music responds in kind, featuring spoken dialogue, handclaps, and finger snaps alongside such sound effects as motorcycles revving and glass shattering like hearts. It all accompanies Mary Weiss' plaintive lead vocals, which anchor both of these remarkable tracks. As with the monumental achievement in song by the Crystals and Marvelettes, the Shangri-Las' two most popular singles (they also had the lesser hits "Give Him a Great Big Kiss" and "Out in the Streets"), played in tandem, provide one of the strongest arguments for induction that an act could have.